New York Film Academy MFA degree programs are offered only at our Los Angeles Campus. 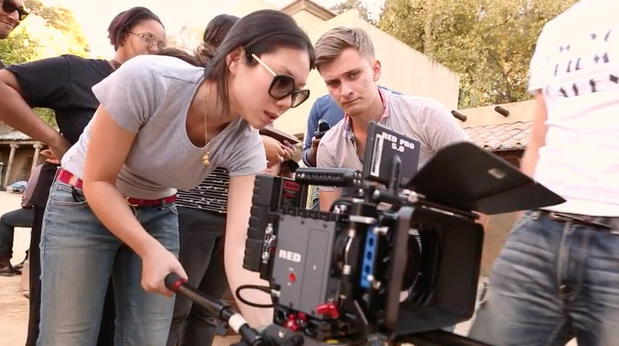 New York Film Academy degree programs are offered at our Los Angeles campus. Qualified students have the option of completing course work at the New York Film Academy in New York City in a one-year non-degree program and requesting that their course work be accepted for advanced standing in the MFA degree program at the Los Angeles campus. 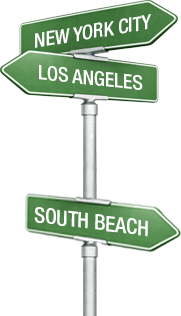 In order to do so, students must apply and be accepted to the degree program in Los Angeles. These students will join the MFA in the second year of the program. The progression of the studio and supporting classes in the second year will be adjusted slightly to accommodate this modified course of study. This gives students the unique opportunity to learn their craft in both New York City, the heart of the independent film industry and international proving ground for actors, and in Los Angeles, amidst the great film studios in the worldwide entertainment capital. An ideal applicant for the New York Film Academy Master of Fine Arts programs must demonstrate a sincere passion for motion picture storytelling and the ability and desire to collaborate with other artists in a creative environment. Applicants must submit a creative portfolio (supporting materials) that illustrate the applicant's ability to undertake graduate level study, accelerated level of talent, and potential for success within the profession. Candidates for admission to the Master of Fine Arts programs must possess a Bachelor's Degree from a post-secondary institution recognized by the United States Department of Education. No particular major or minor is required as a prerequisite for admission, but applicants with a strong background in storytelling, and/or the arts are preferred. While GPA will be taken into consideration, and is an important component of the admissions process, the strength of the candidate's creative portfolio is also a significant determining factor for admission. Special attention will be given to grades assigned in areas of study related to any aspects of storytelling arts such as the visual arts, creative writing, theater arts, fine arts, performing arts, and the humanities. Applicants who wish to pursue a Master of Fine Arts Degree who have received a Bachelor's Degree (or equivalent degree) from a foreign institution must submit a credentials comparison evaluation of all undergraduate work in order to verify their Bachelor's Degree equivalency. All transcripts and portfolio materials documenting prior collegiate experience (including credentials comparison evaluation, if applicable) will be evaluated by the Academy faculty and Admissions Committee. Students must submit a completed graduate program application. Applications are available online at: https://www.nyfa.edu/applications/mfa1.php. The narrative statement shall be a mature and self-reflective essay (2-3 typed pages) detailing the applicant's reasons for pursuing a degree in the motion picture arts. The essay should take into account the individual's history, formative creative experiences, contemporary influences and inspirations, and personal artistic dreams. Applicants must submit one or two examples of original work that best demonstrate their talent and ability as creative individuals. All film/video submissions must be submitted on DVD or hyperlink where the submission can be viewed, regardless of image capture format (20 minutes maximum). Applicants may also submit supporting materials such as slides or photographs (10 maximum). While the creative portfolio is normally the primary determining factor for admission, the New York Film Academy understands that many applicants have attained applicable skills from various professional experiences in publishing, entertainment law, theater, online business ventures, architecture, etc. Often, with these applicants, it is the narrative statement and resume that reveal the most about an applicant's qualifications, and potential for success in the program, to the Admissions Committee. Since all classes at the New York Film Academy are conducted in English, students must be able to communicate clearly in written and spoken English. An official transcript verifying completion of secondary education in which English is the primary language of communication. TOEFL (Test of English as a Foreign Language) score of 550 or higher (213 for computer-based test or 79 for internet-based test); IELTS 6.5, or the equivalent. It is the general policy of New York Film Academy Master of Fine Arts Degree Programs neither to accept transfer credits from other academic postsecondary institutions, nor to consider prior experiential learning for application toward any degree or non-degree course of study. Students desiring credit for previous academic work or training may submit a written request for such credit to the Registrar, along with any supporting documentation(e.g. transcripts or syllabi.). If credit is awarded, the length and/or requirements of the program will be adjusted appropriately, at the discretion of the Academic Dean in consultation with the Department Chair. Furthermore, the New York Film Academy makes no representation whatsoever that credits earned in the Master of Fine Arts Degree Program or any non-degree program or workshop operated by the New York Film Academy will be accepted or applied toward the completion of any degree or certificate by any other postsecondary institution. The acceptance of transfer credits is always governed by the receiving school. A student will be declined admission to the Academy if the Admissions Committee determines that he or she does not meet the requirements of the Admissions Policy, or if no space is available in the Master of Fine Arts Degree Program. Students who do not speak English will also be declined admission, given that all instruction is conducted in English. Students who are unable to meet the financial obligations of the workshop one month prior to the start date will also be declined admission. For information on Financial Aid & Grants, please visit our website at www.nyfa.edu. The Graduation Committee is responsible for reviewing and evaluating the full body of work of each candidate prior to the awarding of the Master of Fine Arts. The Graduation Committee is appointed by the Director of Education and consists of the New York Film Academy Registrar, the Thesis Committee Chairperson, and several instructors specializing in a diverse range of fields of study applicable to the student's concentration. That committee ensures that each candidate has been adequately prepared for graduation, the standards of the Academy have been upheld, and that the awarding of a degree is warranted. The registrar ensures that the student has fulfilled all financial obligations to the school and academic requirements for the entire program. Student transcripts showing the awarding of the MFA degree will be withheld until the graduate meets all financial obligations. In order to graduate, students must successfully complete every course of study with a passing grade and maintain a cumulative GPA of a "B" (3.0) or higher. Students must also adhere to the Academy's Attendance Policy and Code of Conduct. Additionally, students must successfully complete and submit all thesis requirements in a timely manner and receive a grade of "B" (3.0) or higher for their thesis production requirement. Satisfactory completion of all semester credits is required for graduation from a New York Film Academy Master of Fine Art Degree Program. A paid fifth semester may be required to successfully complete semester credits for certain thesis options described in this book. These units satisfy semester contact hour requirements. As this is a post baccalaureate degree program, no general education units are required.